Christmas in Russia is celebrated on 7 January and marks the birthday of Jesus Christ. Christmas is mainly a religious event in Russia. 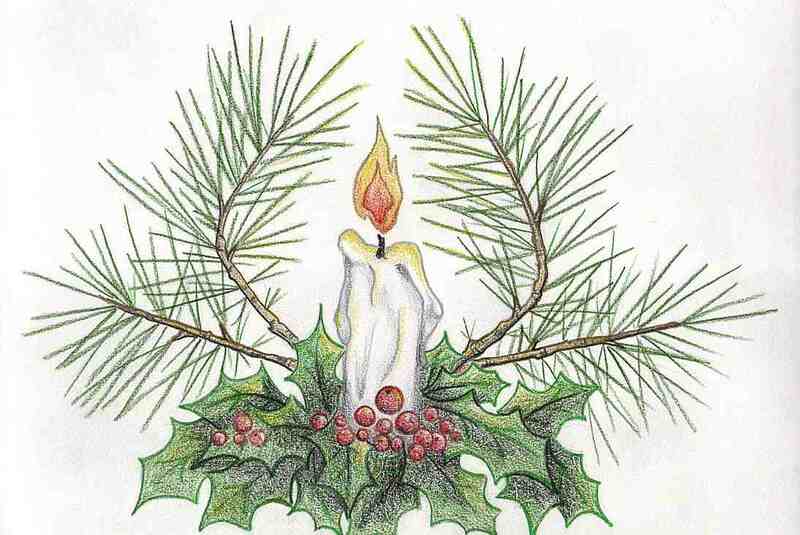 On Christmas Eve (6 January), there are several long services, including the Royal Hours and Vespers combined with the Divine Liturgy. The family will then return home for the traditional Christmas Eve “Holy Supper”, which consists of 12 dishes, one to honor each of the Twelve Apostles. Devout families will then return to church for the “всенощная” All Night Vigil. Then again, on Christmas Morning, for the “заутренняя” Divine Liturgy of the Nativity. 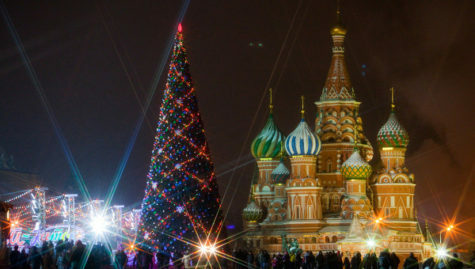 Since 1992 Christmas has become a national holiday in Russia, as part of the ten-day holiday at the start of every new year. During the early-mid Soviet period, religious celebrations were discouraged by the official state policy of atheism until 1936. Christmas tree and related celebrations were gradually eradicated after the October Revolution. In 1935, in a surprising turn of state politics, the Christmas tradition was adopted as part of the secular New Year celebration. These include the decoration of a tree, or “ёлка” (spruce), festive decorations and family gatherings, the visit by gift-giving “Ded Moroz” (Дед Мороз “Grandfather Frost“) and his granddaughter, “Snegurochka” (Снегурочка “The Snowmaiden”). Snowflake, a variation of The Snowmiden stories can be found here: Snowflake. Principal dishes on the Christmas table in old Russia included a variety of pork (roasted pig), stuffed pig’s head, roasted meat chunks, jelly (kholodets), and aspic. Christmas dinner also included many other meats: goose with apples, sour cream hare, venison, lamb, whole fish, etc. The abundance of lumpy fried and baked meats, whole baked chicken, and fish on the festive table was associated with features of the Russian oven, which allowed successful preparation of large portions.